I’ve already chronicled my food journey through Pittsburgh here, but there is much more to discuss about the Steel City. Pittsburgh is known for their breweries, but you can imbibe in other great spirits during your stay as well. 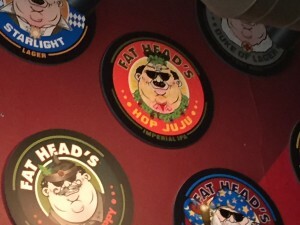 Cleveland natives will be familiar with Fat Head’s Saloon, the Pittsburgh cousin of the well-known CLE brewery. This location often has some beers that are hard to track down in Ohio, such as Hop JuJu and Zeus Juice. They serve perfect, beer-worthy pub food here too, which makes this an easy place to spend a couple hours during your trip. 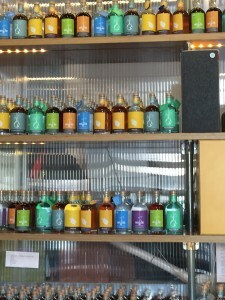 If whiskey is more your style, then Wigle Whiskey has to be one of your stops. This distillery is almost like a lab inside with stainless steel tables, and beakers and pipettes to mix the delicious cocktails. I did a whiskey, rum, and gin tasting, and it was so much fun. The staff explains each spirit and how ice or water can change the flavor of each. 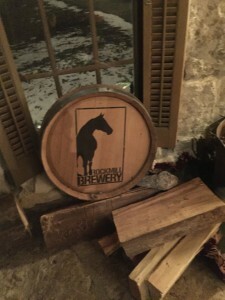 They have their liquors for sale on site, as well as housemade bitters and other swag. Don’t miss Church Brew Works either. This brewery is in a former Catholic church, and the building’s interior is gorgeous. The stained glass was kept intact, and the pews were re-purposed into seating for the tables. Most impressive of all is the altar and pulpit section, where all of the brewing takes places while you watch. This is something you can’t see anywhere else. Back at the Pittsburgh Public Market, there are more than just food options. Here you will find booths for both East End Brewing and Red Star Kombucha. East End’s bar at the market had my favorite beers of the trip. The Chocolate Covered Cherry Stout and Monkey Boy Hefeweizen in particular made me wish I hadn’t left my growlers on the counter at home. Don’t skip over the tiny taproom area dedicated to Red Star Kombucha either. If you’re looking for a light and fruity adult beverage, here is your place. This refreshing fermented tea comes in flavors like ginger and blueberry. 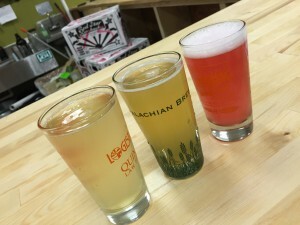 Check out Columbus’ own Luna Kombucha too! I hope you’ve enjoyed my two part series on eating and drinking in Pittsburgh. 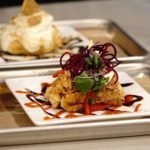 What weekend trip do you think Columbus Culinary Connection should feature next? 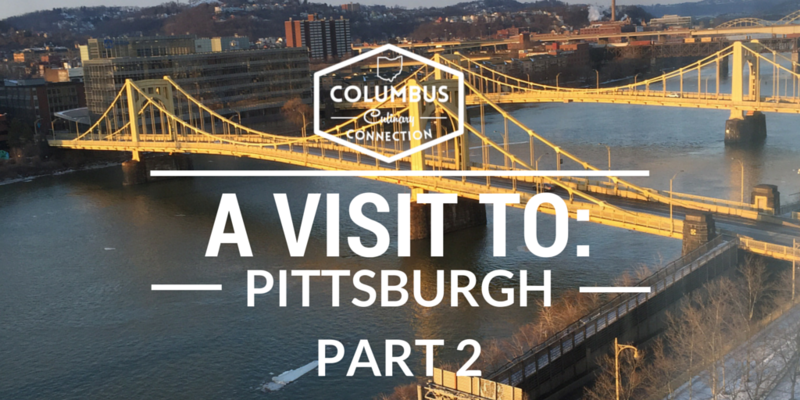 This is the second part of a two part series chronicling my journey through Pittsburgh. 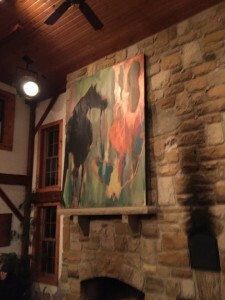 To learn more about fun things to do in Pittsburgh, check out part one here. 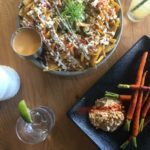 The Franklinton area is one of Columbus’ trendiest up-and-coming neighborhoods, and Land-Grant Brewing is one spot you should definitely not miss while you’re there. The brewery and the taproom are located together in a former elevator factory, revamped into an industrial chic mecca. 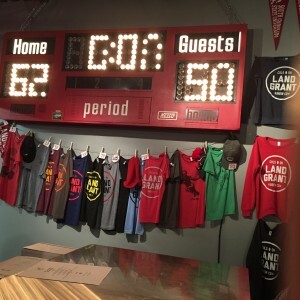 Sports fans will rejoice upon entering the taproom, as much of the decor is an homage to athletics. There is an electronic scoreboard on the wall, pennants, and Ohio State photographs. 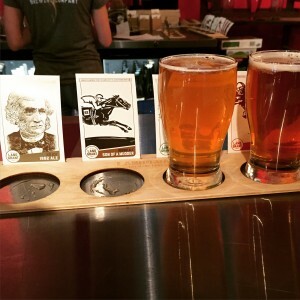 When ordering a flight, the clever sports theme continues, with collectible “baseball cards” that have stats about each beer and some trivia about the beer’s name placed behind each taster glass. Isn’t it the worst when you get a flight of beers and can’t remember where each is located in the lineup? Problem solved. Now on to the best part: the brews! Land-Grant has a wonderful collection of beers of all types. The 42-1 Imperial IPA is a subtly-hopped delight, and Son of a Mudder is malty and drinkable. Greenskeeper Session IPA will make you ready for summer sipping, and Stiff Arm IPA is a solid classic. Most interesting of all is the seasonally available Beard Crumbs Oatmeal Raisin Stout – yes, it has notes of cookie flavor! There are a number of other limited edition styles up for grabs as well, which the enthusiastic staff will be happy to describe to you. There are no meals served at the brewery; however, food trucks are often parked in front of the building, and Strongwater Food and Spirits is just up the street. 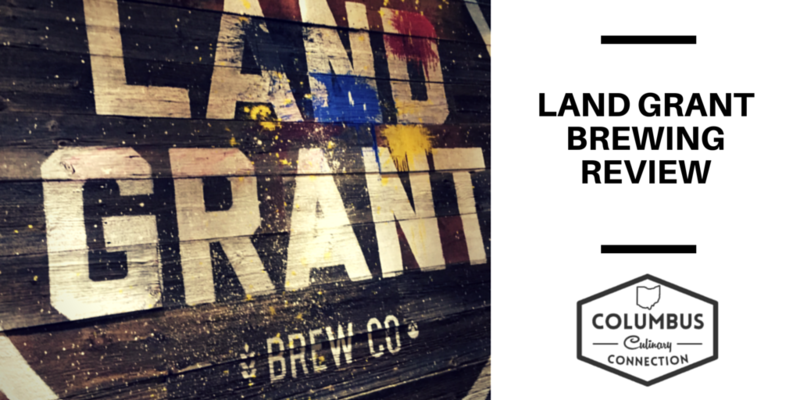 New craft breweries are popping up constantly, but the winning combination of great beers and the casual vibe at Land-Grant that will leave you coming back for more. Culinary Clue: In case you were wondering about the origins of the name “Land-Grant,” it is actually a fun historical fact. The Land-Grant Act of 1862 set aside property for a public university in every state. As a result, the Land-Grant moniker is a nod to Columbus’ favorite university, OSU. I’ve made no effort to hide my love for Harvest Pizzeria. 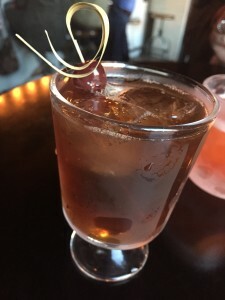 At Curio, the tiny cocktail parlor next door, you can get the delicious Harvest pizza you love while enjoying the some of most inventive libations you’ve ever imagined. Curio is dimly lit and has that “speakeasy” vibe that is becoming so trendy right now, except that they were doing it first. The drinks are Prohibition-era inspired. Many will contain ingredients that you’ve never previously tried or can even pronounce. But you will enjoy it, guaranteed! Two of my favorite cocktails that are always available at Curio are the Dapper Dan and the Corpse Reviver. The Dapper Dan (which always makes me think of O’ Brother Where Art Thou) is an adult version of a root beer. Watershed Bourbon is shaken with bitters, vermouth, and Curio’s house-made root beer bitters. The Corpse Reviver contains gin, Cointreau, Lillet Blanc, lemon, and absinthe. Who doesn’t want to try absinthe?! The Sloe Gin Fizz is refreshing and crisp, and anything topped with an egg white just seems more fun. 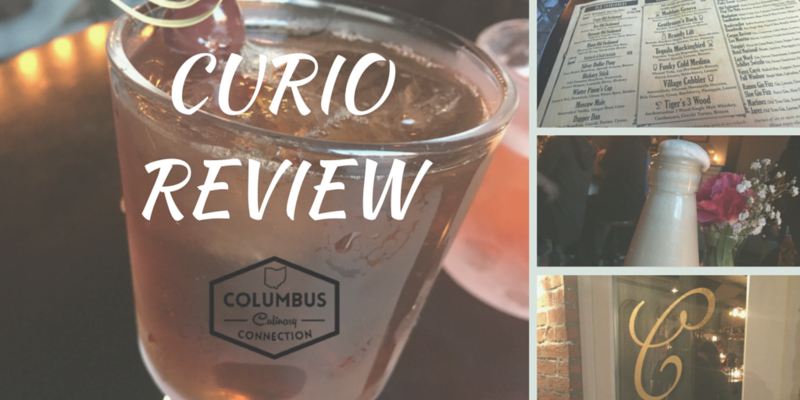 Moscow Mules are the perfect summer sipper, and Curio’s rendition is sure to delight. 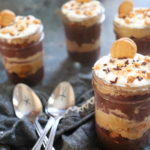 For a “desserty” drink, the Brandy Lift really hits the spot. 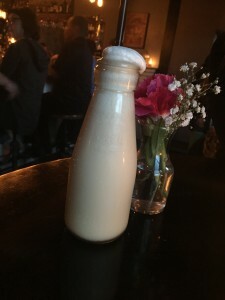 Almond syrup, brandy, soda, cream, nutmeg, benedictine, and smoked maple bourbon all come together to create a milkshake-like concoction served in a tiny milk bottle. Spicy curry bitters, medicine droppers, and egg whites? Can these really all belong in the same place? The answer is yes. Check out Curio to see for yourself! Culinary Clue: Looking for an off-the-menu cocktail? The bartenders are all incredibly gifted liquor artists. Tell them a spirit and a flavor that you like, and they will create a custom drink just for you! Beer selection varies. If you can’t find a beer that you like, you are in the wrong place. Have you ever had that feeling the first time you visit a new spot and as soon as you are walking out, you know you will be returning ASAP? 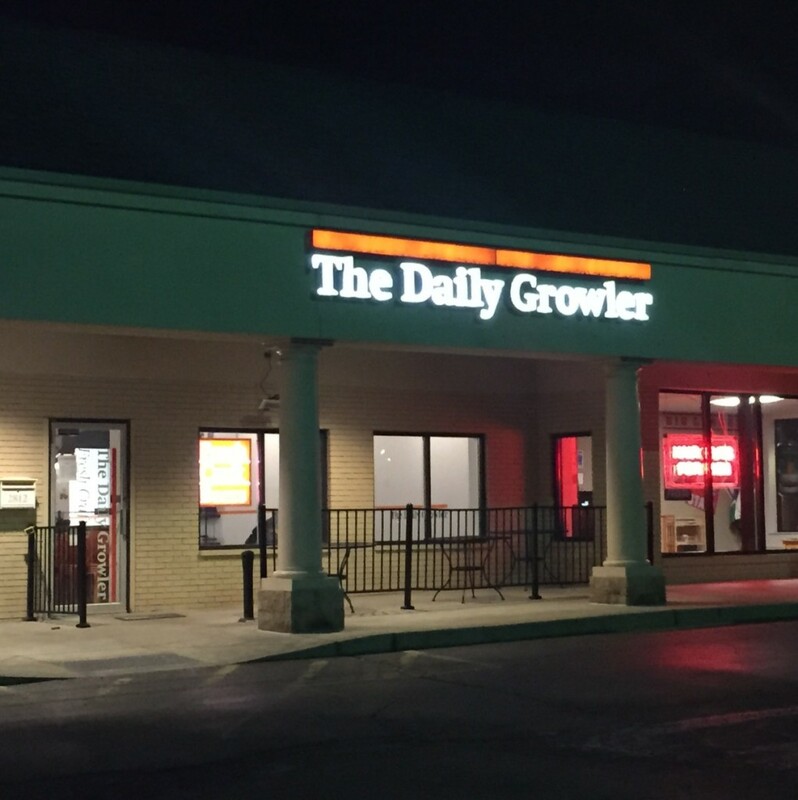 It’s easy to make a connection with some places, and the Daily Growler is certainly one of those locales. Let’s talk definitions. 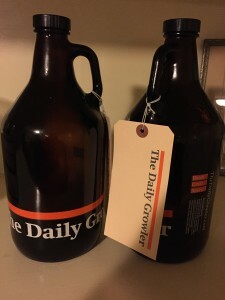 The “daily” in the Daily Growler comes from the concept of featuring a different beer each day, which is then available for growler fills at a discounted rate. But what is a growler? A growler is a glass container that holds 64 oz. of beer deliciousness. It looks like the jugs they drink out of in moonshiner shows, and it is perfect to give you a to-go option for carrying out fresh craft beers. Be sure to drink your growler within 7-10 days of filling up, and once opened, drink it within 2 days. You will get about 5 pint glasses from each growler. Confession: I now own three growlers from the Daily Growler, and keep a box to hold said growlers in the trunk of my car at all times. The beer list at “The Daily” is hard to beat, with a lineup of 60 rotating taps. Elusive brews like Columbus Brewing Company‘s highly-coveted Creeper Triple IPA are known to pop up on the board. They also have an IPA exclusive to the business, the Daily IPA, brewed by The Actual Brewing Company. 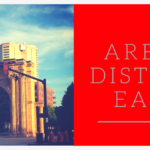 This place is “must visit” for out of town guests so that they can try Columbus’ best local offerings in one spot, and is also a great place for groups too. The interior is Spartan but clean and modern, and the vibe somehow just fits and makes it a place you can linger for hours. Snag a classic board game from the shelves on the wall to keep you entertained while you sip. Food is not offered; however, you are encouraged to bring in your own. 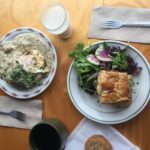 Takeout menus are available for nearby restaurants, and the Powell location hosts food trucks on a regular basis. The staff is extremely knowledgeable and friendly, and will help you pick out a beer to suit your liking if you aren’t sure what styles you prefer. Flights are available too, and are a good way to go if you want to try a bunch of kinds, or are unsure about committing to an entire growler of a more unusual-sounding beer. Happy hour is held 7 days a week from 3-7 pm, with 1/2 off pints, $1 off growlers, and 25% off flight tasters. 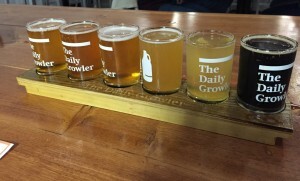 The Daily Growler is big on events, and hosts regular tap takeovers with local breweries. Plus, the Daily Growler staff are often holding court and pouring drafts at many of the best Central Ohio beer events. There are family-friendly events here as well, like pumpkin carving contests at Halloween, and a house-made root beer is always on tap for the kiddos. Culinary Clue: Check out the Daily’s website (www.thedailygrowler.com) ahead of time and read the beer descriptions and pick out which drafts to sample. This way, you won’t have that panic moment and anger the people behind you in line by taking forever to choose your brews.